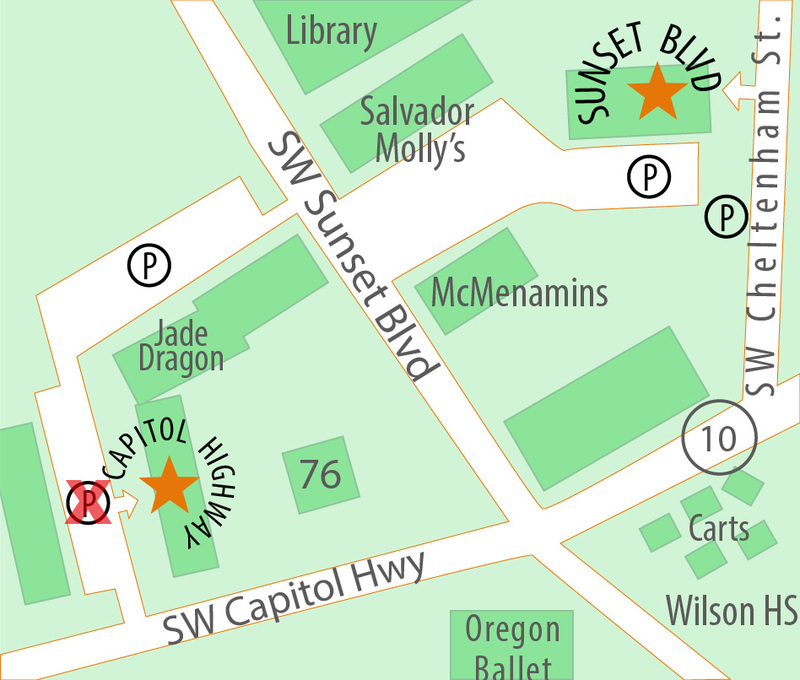 SW Portland Martial Arts teaches Mo Duk Pai (a style that emphasizes ethics, practicality and teaching) and Brazilian Jiu-Jitsu (a grappling and throwing art). CrossFit Hillsdale teaches functional fitness with an emphasis on gradual progress and real world results. Our mission is to provide students with quality instruction, love of learning, and open appreciation for all movement arts. If you’ve been in class recently, you’ve almost certainly heard me talking about the book Make It Stick: The Science of Successful Learning . The book is a concise compilation of the last 3 decades of research in cognitive psychology around learning. In other words, the text examines what learning methods produce measurable results. One of the methods that produces tangible results for students is reflection. Simply put, reflection is taking a moment after learning new material and trying to synthesize it for yourself. In the case of martial arts classes, this usually means talking to your fellow students or your teacher for a moment at the end of class and hashing out what you got out of the day’s session. The process of reflection helps students put the material into their own words, making them more likely to be able to recall and use the information at a later date. This process of committing new material to memory will be even more successful if students can relate the new material to something they already know. So, take the time after class to talk about what you learned. Sum up the important parts. Sum up what worked for you and what didn’t. Talk about how you might change things to make the strategies or techniques work better for you next time. Try and relate the material to something you already have a strong grasp of. Reflect. If nobody has the time to chat, no worries! You can always grab a piece of paper, your phone, or your tablet and write down your thoughts. Not sure if you will be able to commit to ongoing monthly membership with SWPMA/CFH? No problem! Our gym ten-pass entitles any/all family members to enjoy 10 classes with us for $150 [at no further obligation]. This punchcard is good for drop-ins with virtually any of classes on the regular schedule – Martial Arts, CrossFit, Yoga, and ongoing kids classes ages 5+…including Parkour. *Not applicable to ongoing 4’s Martial Arts classes, special Six-Week Series for ages 3-6, or Special Events/Seminars please. Posted in All school programs | Comments Off on Punchcards for the Win! Acro Seminar is coming to town! Dance on your hands! Balance your friends on your feet! 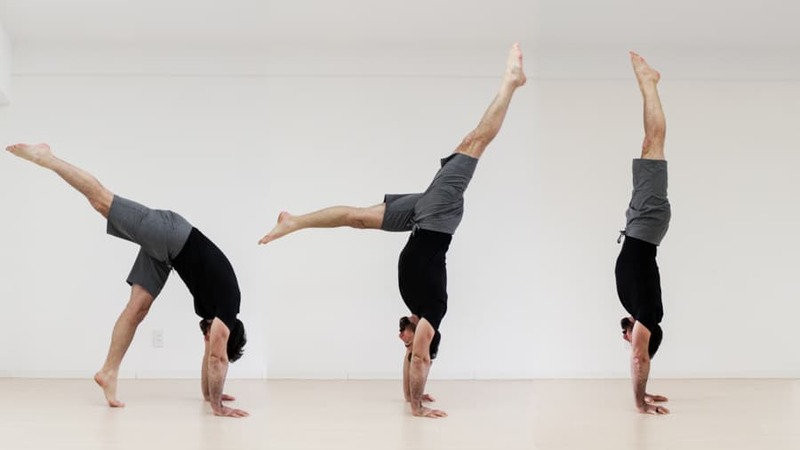 We’re hosting a two hour acro seminar, coached by Ari Rapkin of justmovement. The first hour will focus on tumbling and hand balancing. The second hour will be partner acro. If you sign up before February 14th, you pay $25 to do both hours or $15 to do (either) one of the segments. Starting February 15th, the prices go up $10 – $35 for 2 hours and $25 for one. Posted in Uncategorized | Comments Off on Acro Seminar is coming to town! 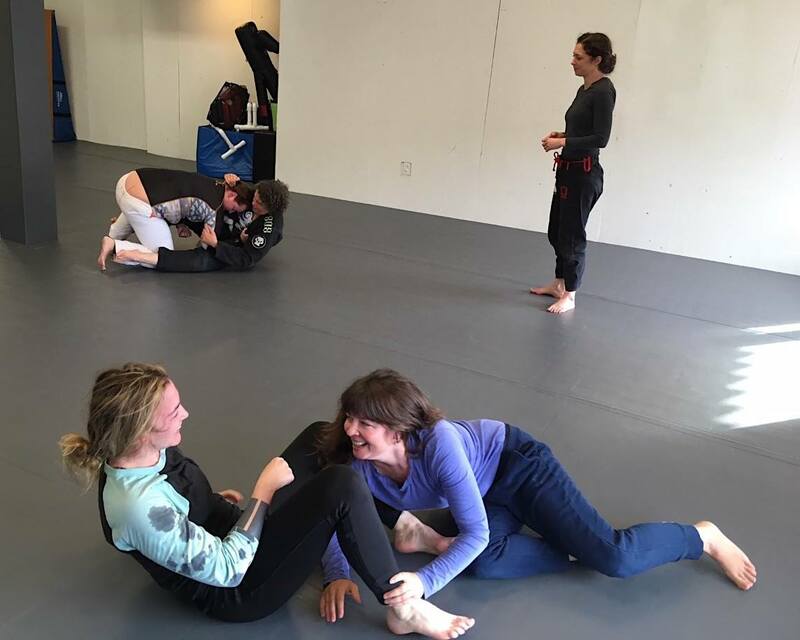 Why is there a women’s only BJJ class? People practice martial arts for lots of different reasons, but at a fundamental level, the function of martial arts is to… well, be functional. If you call something martial arts, the implication is that it should help the practitioner defend themselves in an actual self defense situation. Given that martial arts should work, how is it possible for an all women’s class to be functional, as the majority of violent attackers against women are men? Put another way, why offer gender exclusive classes? Shouldn’t people be training with everyone, so they gain a broad exposure to possible body shapes and sizes? Shouldn’t women be training with men since if they get attacker their attacker is almost certainly going to be male? My answer is yes, people should be training with as broad a range of partners as possible – if they want to test their skills. That phrase at the end, “if they want to test their skills”, brings us to the crux of having a women’s only class. First, even if women do train in classes with men, it can be nice to get a chance to work only with other women so that you have a whole hour with people who are reasonably close you your size and strength. Generally, men are bigger and stronger. It’s certainly not the case that a women aren’t sometimes bigger and stronger than their male partner, but the usual scenario is a smaller female versus a bigger man. Given this usual scenario, it is sometimes hard to determine when the man ends up winning if it is the result of a physical advantage or a skill advantage. So, reason number one for a women’s only class – to have a day where skill is more prominently featured because the students are closer in size and strength. Second, martial arts is largely a male dominated culture. Cultures tend to replicate themselves and exclude those who are not already represented in the culture. Sometimes this is deliberate, other times it is unintentional, merely a product of a women walking into a gym, seeing nobody else on the mats who is female, and turning around and heading out the door. There are definitely women who are willing to be the only female on the mat. However, it seems of value to offer a class where women see everybody looks like them and therefore are willing to take the chance and do some martial arts. So, reason number two for a women’s only class – to get women started down the martial path by providing a class where everyone is closer to their size and strength level. Third, people ask for it. I love martial arts and CrossFit. I like seeing the gym full of people. I think people will use the class. I think the class will make the gym money and I am a cog in the capitalist machine as much as the next business owner. So, reason number three for a women’s only class – there is demand for it. As a final thought, martial arts, while at root – must be about functionality, there is no reason why an individual’s training needs to be about functionality. There is joy, camaraderie, and sweat to be had on the mats. The art itself must keep an eye on honesty and functionality. To pressure test your skill against a bigger, stronger opponent is important to see if it will really work, there is no reason that everyone needs to do that the first day they walk in the door (or ever, really). So my hope is that the women’s class serves all three of the reasons above: it gives the women of the gym a chance to wrestle with people their own size, it gets some new women in the door who might otherwise walk away if they saw a room full of men, and it grows the gym. Got thoughts on the subject of a women’s only BJJ class? I’d love to hear them. Posted in Martial Arts | Comments Off on Why is there a women’s only BJJ class? Want to give the gift of fitness this holiday season? We’ve got $150 10 class punch cards that give you access to our entire schedule. The cards never expire. Simply enter your email below, pay on PayPal and we will ship the punchcard out to you.